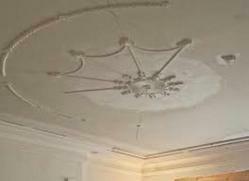 We offer Gypsum and POP Ceiling Work Service. Due to our patron-focused approach, we are offering our customers Gypsum Ceiling Work. These provided services are offered by adroit workers who hold experience in their respective field to retain correctness and flexibility. In addition to this, offered ceiling work services are rendered at very reasonable rates. Our organization is offering a wide assortment of POP Ceiling Work for our clients. In line with industry norms, our skilled professionals use advanced equipment to execute this POP ceiling work smoothly. In addition to this, these ceiling services are offered at very reasonable rates.